Selenium is a portable software testing framework for web applications. Selenium provides a record/playback tool for authoring tests without learning a test scripting language (Selenium IDE). It also provides a test domain-specific language (Selenese) to write tests in a number of popular programming languages, including C#, Groovy, Java, Perl, PHP, Python, Ruby and Scala. The tests can then be run against most modern web browsers. 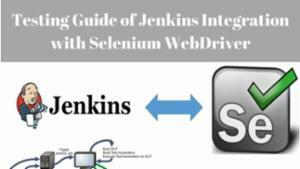 Selenium deploys on Windows, Linux, and OS X platforms. It is open-source software, released under the Apache 2.0 license, and can be downloaded and used without charge. 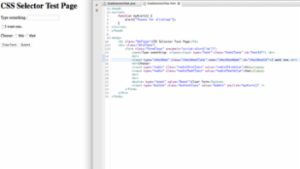 Learn by example how to specify CSS selectors for Selenium WebDriver test automation software.